Stone – texture that looks like stone! There are four structures offered with these vinyl floors. The Elegant wood structure has a very subtle surface with a fine grain structure. This provides a wood effect with a natural look and feel. The Natural wood structure has a surface where grain, knots and cracks are visible in the product. Also, these ‘imperfections’ can be felt in the surface structure, just like with real timber. Treatments includes Brushed and Saw Cut options. Brushed is where the surface is processed to make it appear to have been brushed – this adds depth and character to the floor surface. The Saw Cut option is an effect where the product appears to have been roughly cut during machining. In terms of Finish all vinyl floor options have been finished in matt. This is intended to give the floor a more natural look. Finally, there are two bevel finishes, rustic and modern. The Rustic bevel is a distinct and dark coloured bevel. Because of this the floor appears more rustic and has a reclaimed character. The Modern bevel is less obtrusive, it helps to define the edges and results in a cleaner and more modern look. 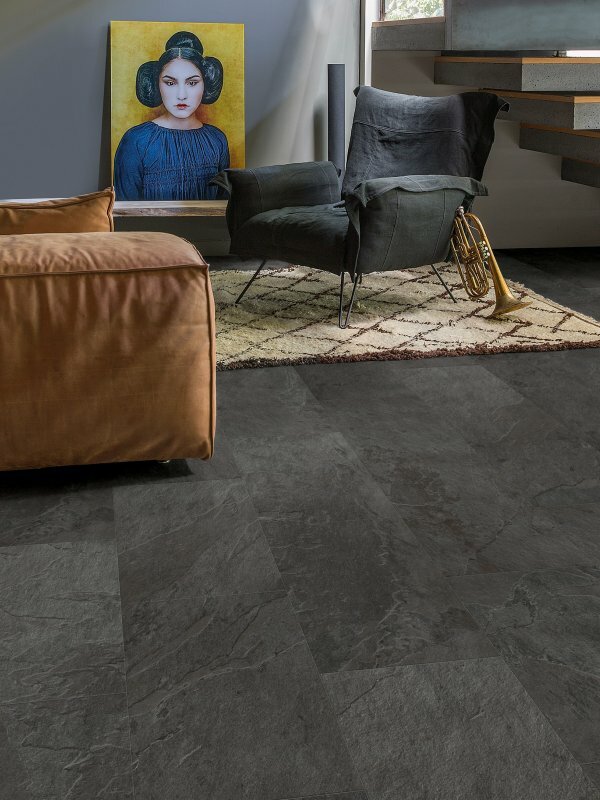 Our Quick-Step suppliers indicate a 5-7 day lead time on this vinyl product. It can be ordered for collection from our Devon yard, or we can arrange delivery to your home in the mainland UK. There will be a delivery charge of £40 plus VAT, that is £48 including VAT. Please note that the hauliers normally deliver to trade and commercial sites and will need access for a large delivery lorry. They will therefore need to be advised of any possible access restrictions. This is a kerbside delivery so there will need to be an able-bodied person be on site to put the flooring under cover and sign for the delivery.